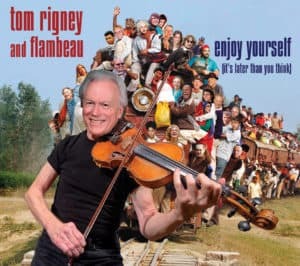 Violinist/fiddler/composer Tom Rigney expands his “fiddle fusion” concept with a new disc featuring twelve instrumental pieces, ten of them his original compositions. 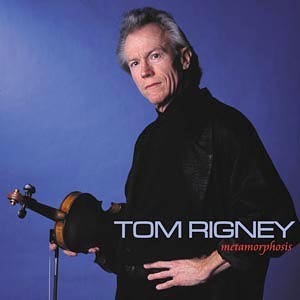 The new CD reflects the broadening and deepening of Rigney’s vision as a composer and arranger, and showcases his passionate, virtuoso technique on the fiddle. Sylistically, the new recording continues the exploration of a wide range of roots and folk styles–the “fiddle fusion” which began with his release, Chasing the Devil, in 1998–and reveals Rigney’s focus on the creation of evocative, memorable melodies and compelling grooves. The title, Metamorphosis, refers simultaneously to Rigney’s musical evolution and to the pieces themselves, many of which blend different roots styles into something unique. A few of the pieces retain some of the Cajun flavor which has been a hallmark of the past fifteen years of Rigney’s career (through his leadership of Flambeau and before that, The Sundogs), but in each case the South Louisiana sound is mixed with other musical elements. Guiness and Gumbo is a rousing interplay of Irish and Acadian and roots rock sounds, The Snake takes a long-lined melody and a deep Cajun/rock groove and adds organ, piano, and electric guitar, giving it an almost Springsteen-like intensity, and Shadow Dancer begins with a simple, modal folk melody and gradually infuses it with elements as diverse as Balinese Gamelan music and Old-Timey mandolin rhythms to create something unique and mesmerizing. But the heart of this new collection is a group of beautiful and expressive melodies in which elements of folk and popular music are blended with Spanish, Gypsy, and European styles. New Moon takes a flowing Nouveau Flamenco melody and adds to it the unique harmonica and acoustic guitar stylings of Norton Buffalo and Nina Gerber, with memorable results. Nina is also featured on several other tracks, perhaps most notably Tristeza (Sadness), a moving fantasia inspired by a theme of Joaquin Rodrigo, and Brother Warrior, a gorgeous melody written by the late Kate Wolf, simply and lovingly presented, which both Rigney and Nina Gerber performed with Kate years ago. Other highlights are Mazatlan, a tune conjuring visions of a lazy evening on a Baja beach and featuring a beautifully evocative guitar solo by Danny Caron, The Hour of the Cat, which showcases the rousing interplay between Rigney’s fiddle, Jim Rothermel’s clarinet, and Paul Rogers’ bumptious accordion playing in a spirited Kelzmer/Gypsy rave-up, Paula’s Waltz, a poignant, lilting waltz which Rigney composed after the death of his mother in 1998, and Vicious Circle, a relentless juggernaut of a tune which merges a rhythmic, syncopated fiddle riff, the powerful, driving rhythm section of Jimmy Sanchez (drums) and Steve Evans (bass), and Jerry Cortez’ slashing electric guitar work. The tunes are memorable, the arrangements and orchestrations are beautiful and surprising by turns, the fusion of musical styles is masterful and effective.The players are some of the finest on the Bay Area roots music scene; the interplay between them is inspired. 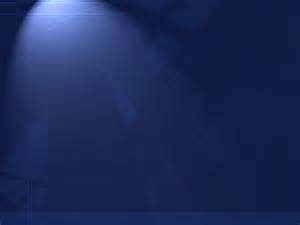 Metamorphosis is a mature musical statement by a true American original. A postscript: Tom Rigney has dedicated this new CD to the memory of his father, Bill Rigney, who died in 2001 from complications arising from 83 years of good living. Bill Rigney’s career in Major League Baseball had spanned over 60 years and he was looking forward to one more Spring Training.